Noumboulo, Foumikado (prosciutto of Corfu) and Salado (salami of Corfu) are the exclusive cold cuts of Corfu that you must try! Salami of Corfu, Sausages of Corfu, Smoked Pancetta of Corfu and Prosciutto of Corfu make up a mixed cold cuts plate from Corfu. 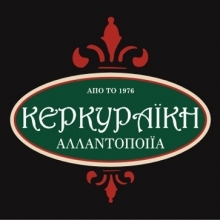 Accompany them with fresh frozen Corfu Beer, one of the best Greek products!